With all of our jet-setting, we’ve learned there are a few items we can’t leave home without. A trusty travel blanket makes it on our list. There is nothing better than settling into your plane, train or car seat, trusty book in hand, wrapped in a cozy blanket. 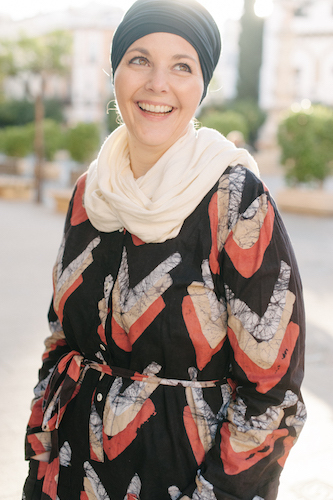 I can easily forget the hours of travel ahead of me, and the same can be said for the rest of my family (although their entertainment might differ from mine)! In fact, a travel pillow and soft blanket are always the first two things my kids add to their backpacks when packing. We’ve compiled a list of favorite travel blankets to help narrow down the choice when you buy a travel blanket for your next adventure. Travelon designs and manufactures innovative travel solutions to make your life easier. This blanket not only has a soft, fleece exterior, but it’s treated with an anti-microbial agent to inhibit the growth of bacteria. With the added protection it makes a great choice for an airplane travel blanket. No one wants to end up sick on vacation! 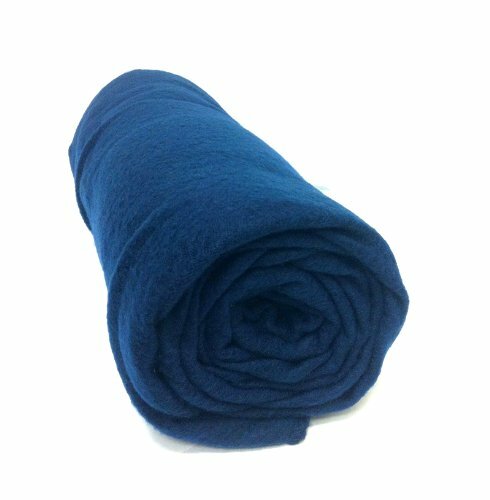 Seeking a cozy-soft compact fleece blanket that is just the right size to wrap you in comfort while you travel? This is a great blanket for airplane travel. It’s warm but still a lightweight travel blanket so it makes a great layer when you get a little too chilly. 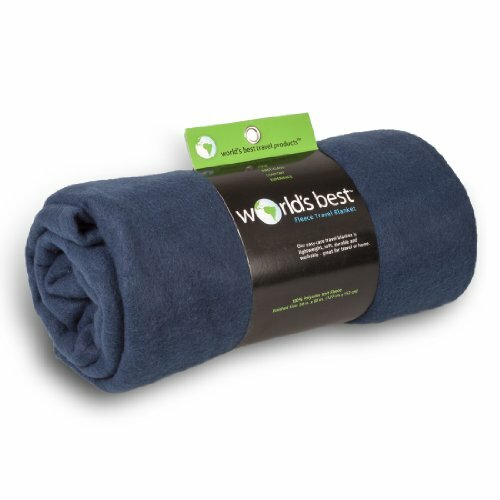 The ultra compact and lightweight CoolMax Travel Blanket is the perfect “anywhere” blanket. When unfolded, it is large enough to be useful at home, but the ease of “pack-ability” also makes it perfect while on the go. It really is a cocoon travel blanket – ready to wrap you up! The compact size and weight make it a good lightweight toddler blanket as well. 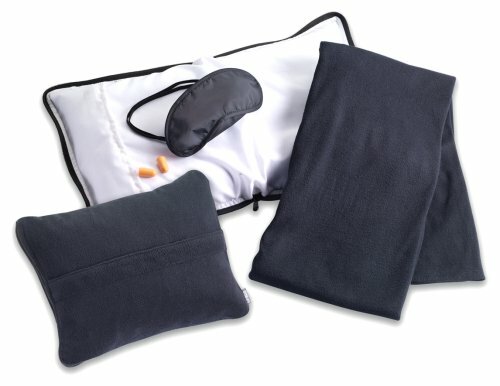 The foldable travel blanket and pillow set is the king of all travel pillows. There are so many features to love about this travel blanket pillow combo. 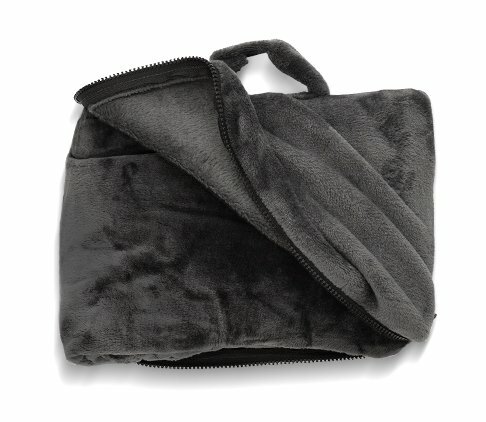 The ultra soft fleece is perfect when in pillow formation or when unzipped to be used as a blanket. The best feature!? Pockets on the back side to keep your feet warm! If you are in need of an inexpensive blanket with minimal space requirements, this packable travel blanket is worth checking out. 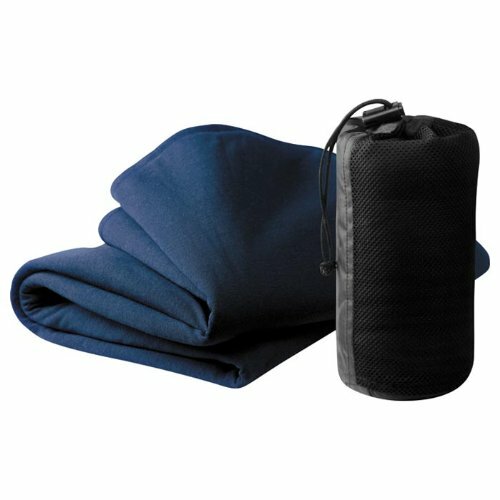 Ideal for those looking to purchase a thin travel blanket that can be easily packed but still provide warmth to combat the drafts on planes and trains. 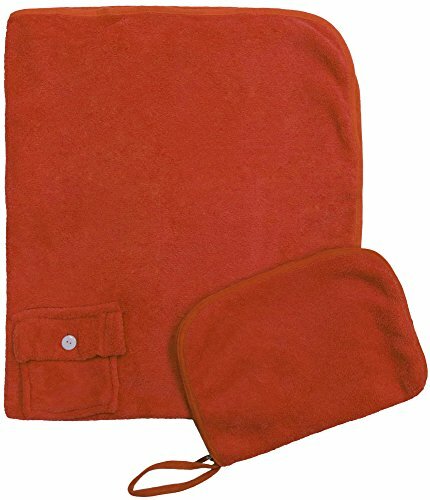 Indulge in soft comfort wherever you go with this compact travel blanket set. This all-in-one model includes ear plugs, eyemask, a full-sized inflatable pillow and a fleece blanket. Now that’s comfort when on the road! Looking for an extra large travel blanket, that is designed to fully cover you and provide maximum warmth? Cabeau Fold n Go Blanket is a great choice. With cozy, microfiber fabric and a portable case (which once filled can double as a seat cushion or pillow), it is a warm, yet still practical option. This travel blanket and pillow set comes in a variety of fun colors. The soft blanket for kids is easy to pack into the carrying pouch that is included with the set. 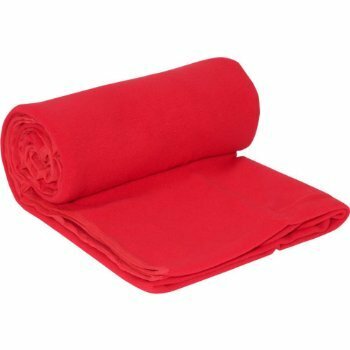 This blanket is great for cars, planes, buses, trains or even at home in front of the TV or computer. An ultra soft fleece throw blanket without any bells or whistles – you can never have too many of these around! Great for at home or on the go, they are easy to wash, bundle, store and carry! With all of the color options, you can easily buy a different color for everyone in the family, eliminating any mix-ups. 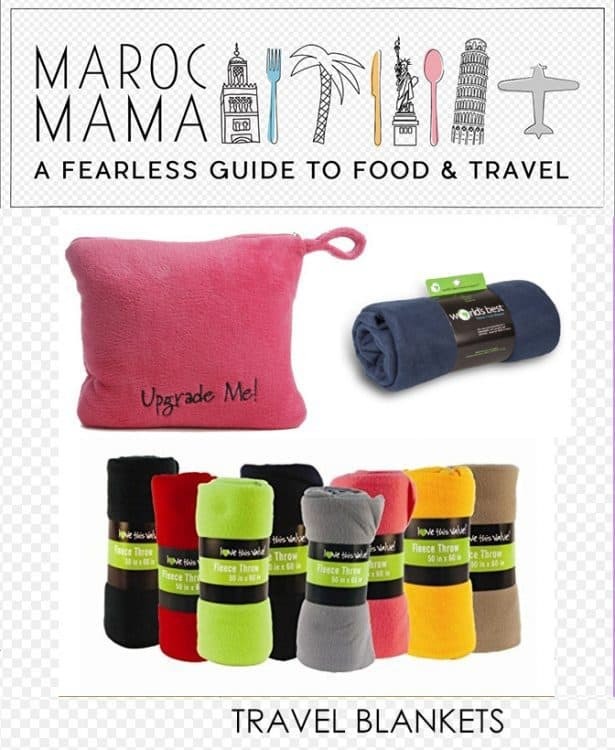 Let us know if you try any of these products out for yourself or if you have other travel blankets you recommend! PS – got the blanket? 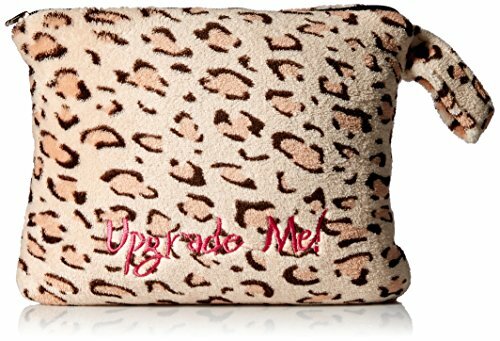 Don’t forget to snag a great travel pillow as well!